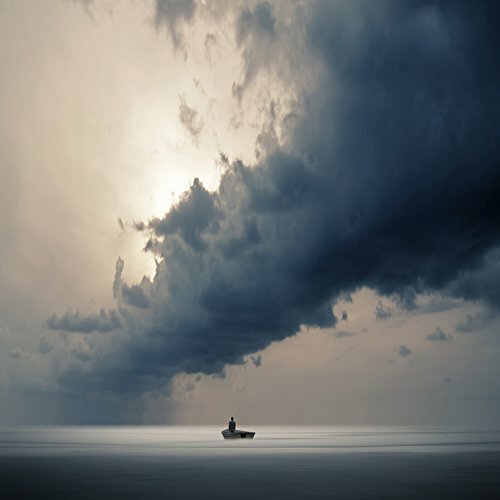 Anywhere Is by Philip McKay showcases an expansive waterscape shrouded by dark clouds trailing off into the distance. This emptiness is interrupted only by a solitary boat holding one person. This piece combines both warm and cool tones with a monochromatic feel. This is a ready-to-hang canvas print with 100 year archival pigmented ink on museum-quality canvas. Actual dimensions may vary slightly from listed dimensions to preserve original proportions.